Heat oven to 425°F. 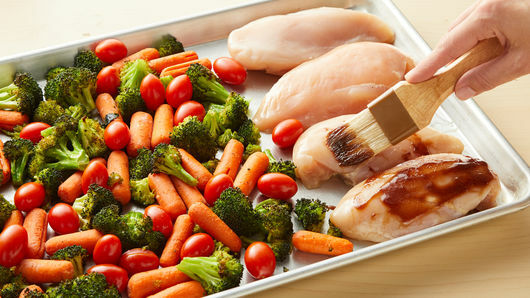 Spray 18x13x1-inch sheet pan with cooking spray. In large bowl, mix broccoli, carrots and oil. Sprinkle with 1/2 teaspoon of the salt and 1/4 teaspoon of the pepper; stir thoroughly until well mixed. Spread mixture onto pan in a single layer; roast 15 minutes. Meanwhile, season chicken with remaining 1/2 teaspoon salt and 1/4 teaspoon pepper. 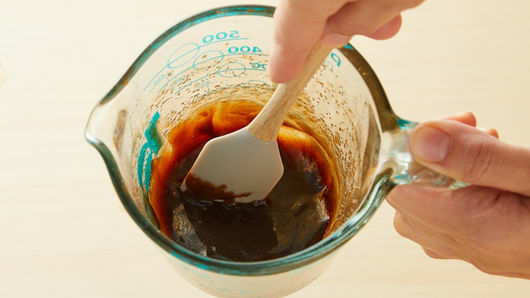 In 2-cup glass measuring cup, mix honey, balsamic vinegar, butter and garlic powder. Microwave uncovered on High 1 minute; stir. Microwave 30 seconds; stir. Mixture should be dark, bubbly and very slightly cling to a spoon when stirred. If necessary, heat in additional 15-second increments (2 to 3 minutes total microwave time), stirring after each. (Do not overheat; glaze will continue to thicken as it cools.) Reserve 2 tablespoons of the glaze for brushing on chicken, and keep remaining glaze for serving. Remove pan from oven; stir vegetables. Add tomatoes and chicken to pan; brush chicken with the 2 tablespoons reserved glaze. Roast 20 to 25 minutes, or until juice of chicken is clear when center of thickest part is cut (at least 165°F) and tomatoes are starting to blister. Before serving, garnish with basil. 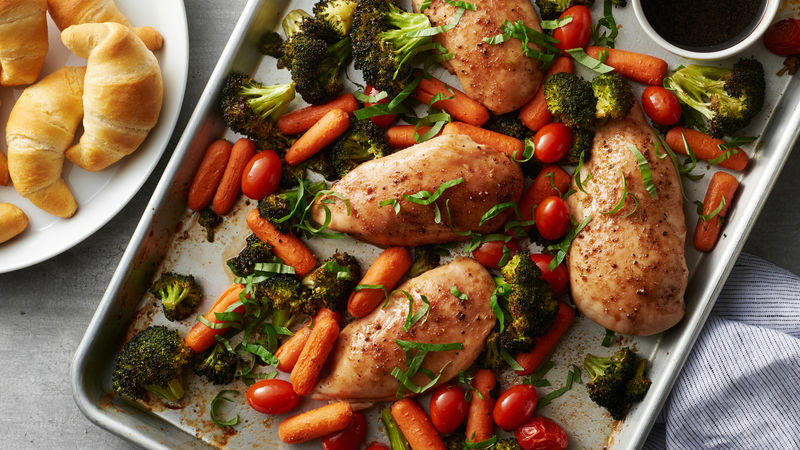 Serve chicken with remaining glaze, vegetables and crescent rolls. Pillsbury™ crescent rolls are a great side dish to serve with this sheet-pan meal. 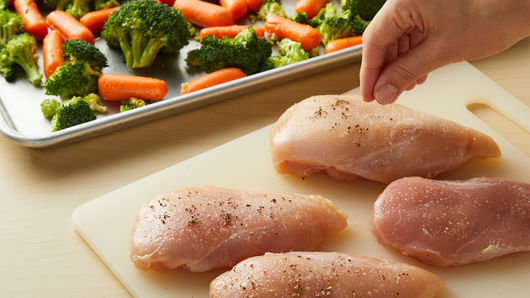 Be sure to avoid cross-contamination between raw chicken and vegetables by dividing your glaze mixture before brushing onto the chicken. It’s important not to overheat the balsamic glaze, which could cause it to harden. Since microwave ovens can vary, keep this in mind when heating your glaze, and be sure to stir your mixture in between heating intervals. Crushed red pepper is a great alternative to black pepper in this recipe, and will give your meal subtle heat. Start with 1/4 teaspoon, and adjust to your liking. Baby carrots and precut broccoli florets are readily available and save time by eliminating the chopping step.